Faceted search offers tremendous potential for transforming the search experience. It provides a flexible framework that can satisfy a wide variety of user needs, from simple fact retrieval to complex exploratory search. It is now the dominant interaction paradigm for most library sites and is increasingly applied to a wide range of search applications. However, with this power comes a challenge: what kinds of categorisation schemes are effective and how should we use them to support search and navigation? How can we design search experiences that integrate effectively with other user journeys and tasks? Above all, how can we deliver search applications that address a diverse range of user needs and goals without compromising usability? Tony Russell-Rose is founder of 2dSearch, a start-up applying artificial intelligence, natural language processing and data visualisation to create the next generation of advanced search tools. He is also director of UXLabs, a research and design consultancy specialising in complex search and information access applications. Before founding UXLabs he was Manager of User Experience at Endeca and editor of the Endeca UI Design Pattern Library, a resource dedicated to best practice in the design of search and discovery experiences. Prior to this he was technical lead at Reuters, specialising in advanced user interfaces for information access and search. And before Reuters he was Group Manager at Canon Research Centre Europe, where he led a team developing next generation information access products and services. His academic qualifications include a PhD in human-computer interaction, an MSc in cognitive psychology and a first degree in engineering, majoring in human factors. He also holds the position of RAE Visiting Professor of Cognitive Computing at Essex University. 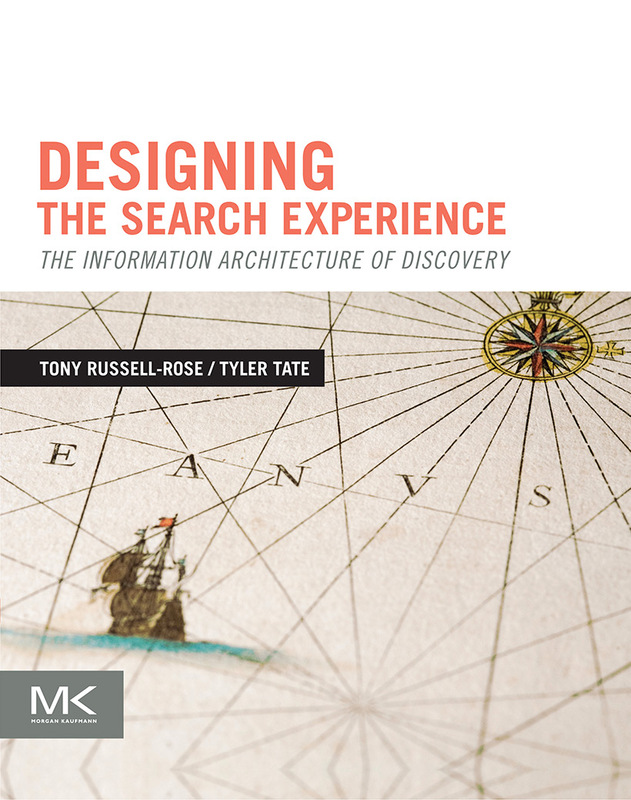 He has published some 80+ scientific papers on search, user experience and text analytics, and is co-author of “Designing the Search Experience: the Information Architecture of Discovery“, published by Elsevier in 2013.